Are you looking to build your skills as a surface design artist? Do you want to learn specific techniques that will help you to create beautiful fabrics for your art? 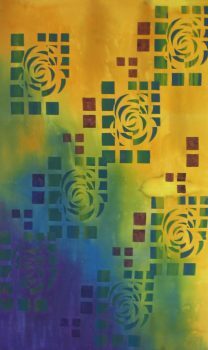 Perhaps you are new to the world of mono printing, thickened dyes, screen printing and stamping and would like a solid foundation of knowledge that you can refer to again and again? Then “Print, Screen and Stitch” is made just for you! In the past these lessons have been separate workshops, but since so many of my students enroll in more than one of my surface design workshops it made sense to build a special group package with tons of value-added information. So now “Screen, Print and Stitch” is a more extensive journey into helping you build those skills that you’ve been wanting for your textile art! to make your own “homemade” gelatin plate. You will use stencils, doilies, kitchen tools and more with textile paints and explore all the possible ways to get colour onto cloth. to make your own hand carved stamps as well as using found objects for more layers of colour. different ways of creating roller prints with cardboard tubes, texture and sponge rollers for amazing effects, take out the rolling pins! 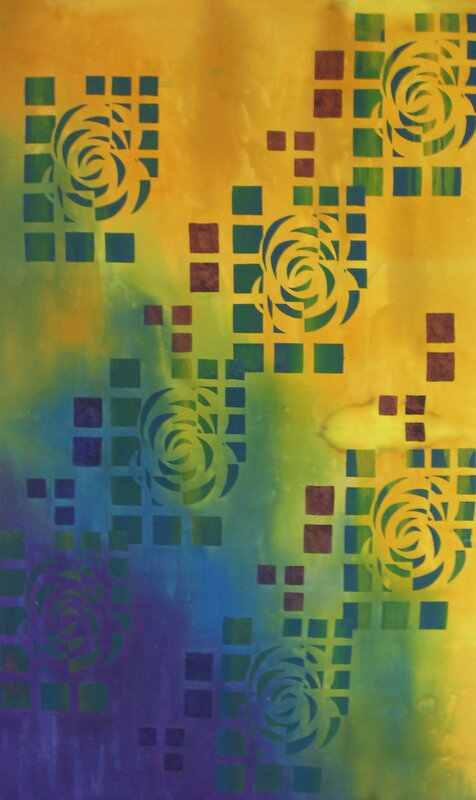 to make simple, basic silk screens that will meet all your needs and the appropriate paints and tools to use. 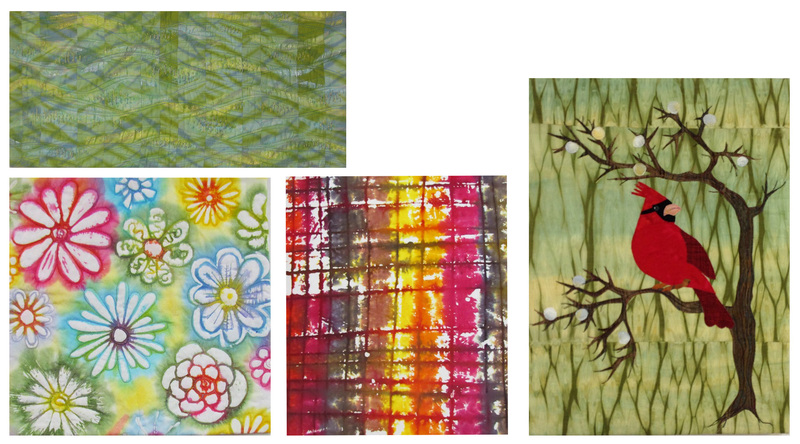 to use freezer paper stencils and other masks, then move on to using soy wax on the screens with thickened dyes. other screen printing techniques will be demonstrated including Thermofax screens, using gel mediums for foil and special effects and how regular “blue gel glue” can be used as a resist!